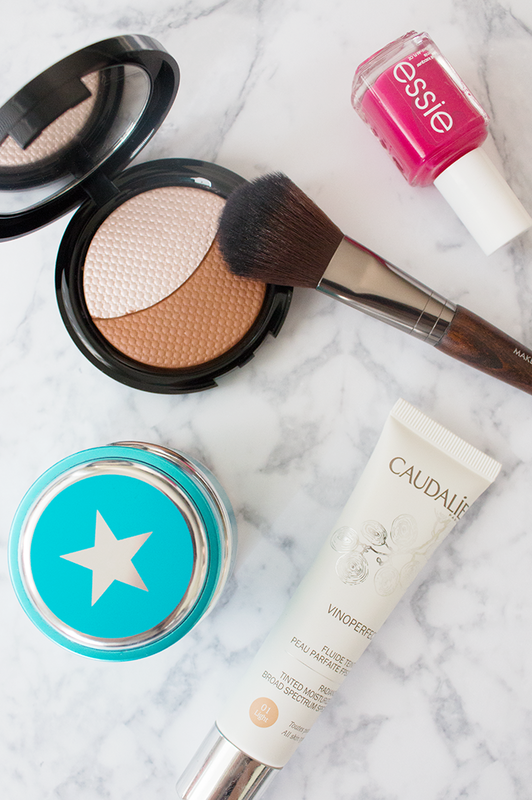 I can't believe it's time for another round of monthly favourites — I know I say this every time, but where did the month go?! Bananas. I didn't have too many new discoveries this time around, but the ones I did have sure were good... here's the dirt. 1. Make Up For Ever Pro Sculpting Duo* // I'm not typically one for contour, but this one has me hooked. I have it in shade #1, and the contour colour is so nice and natural against my pale skin that it actually doubles as the perfect bronzer for me (most I've tried leave my face looking dirty). But where this product really shines (pun intended) is in the highlight — it's very reminiscent of my holy grail highlighter, The Balm's Mary-Lou Manizer, if that's any indication. The Large Flat Blush Brush (#156) it came with* may also be part of the reason I love this product so much, because it deposits just the right amount of product, every. single. time. 2. Essie 'Watermelon' Nail Polish // I don't think it would be a stretch to say that I've found the nail polish of summer 2015, at least for me — I could wear nothing but this one and be perfectly content. No joke. It's just the perfect reddy pink, and I'm confused as to how I'm only just discovering this shade now... hey, better late than never! 3. Caudalie Vinoperfect Radiance Tinted Moisturizer* // I've never been one for tinted moisturizers and BB creams, but over the past few months, they seem to be all I reach for. This one has fast become a favourite, because it applies beautifully (especially with fingers) and gives the perfect wash of colour. It also seems to last really well on my skin after a light dusting of powder... what more can a girl ask for?